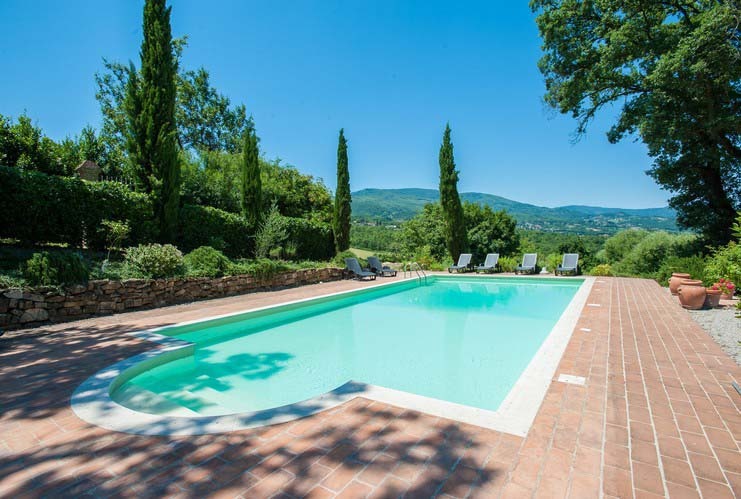 2 large farmhouses for sale in Tuscany; each with a pool. Eleven bedrooms in all, 10 hectares of land and an amazing lake view. Great rental history. Got a big family? 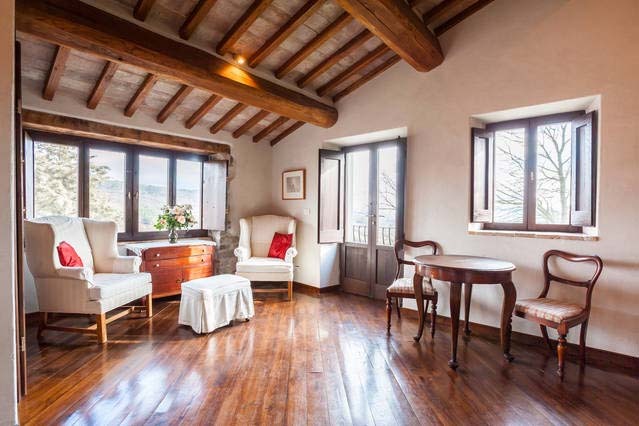 Looking to rent part of your Italian estate but don't want someone rummaging in your cupboards? Want to have peace and quiet around your own private pool whilst the kids make a splash in theirs? Looking for a potential income thus covering all your expenses? Then this is the property for you! 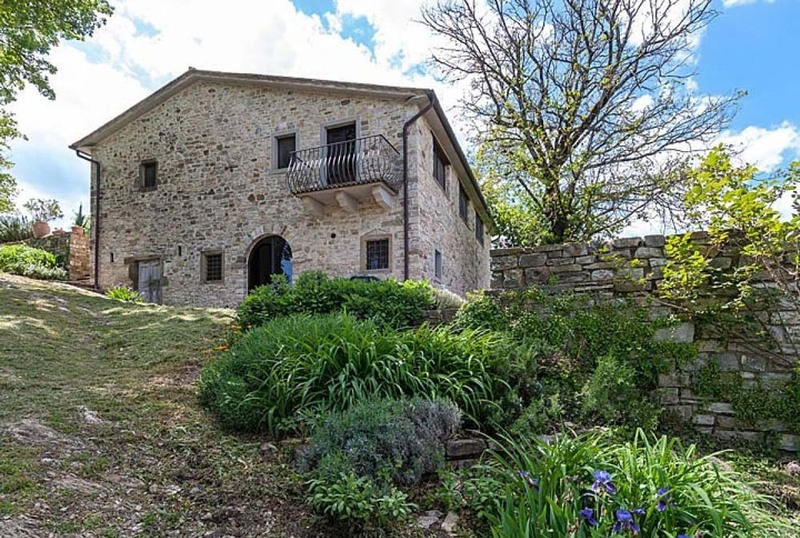 The vendors of this property for sale in Tuscany understand the present global market conditions and therefore have collectively placed an asking price of 850,000 euros for what must be the deal of 2018. What you get: 2 swimming pools both with fab views. 2 stone built properties, one restored to a high standard and the other more rustic. 10 hectares of surrounding land with olives, wood and pasture. 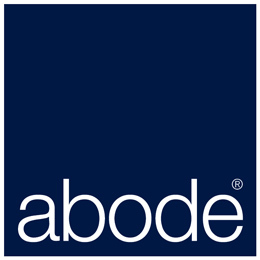 Good rental history and on-going business. Room for expansion. Q: How quickly will this property sell? A: Don't delay, call today. 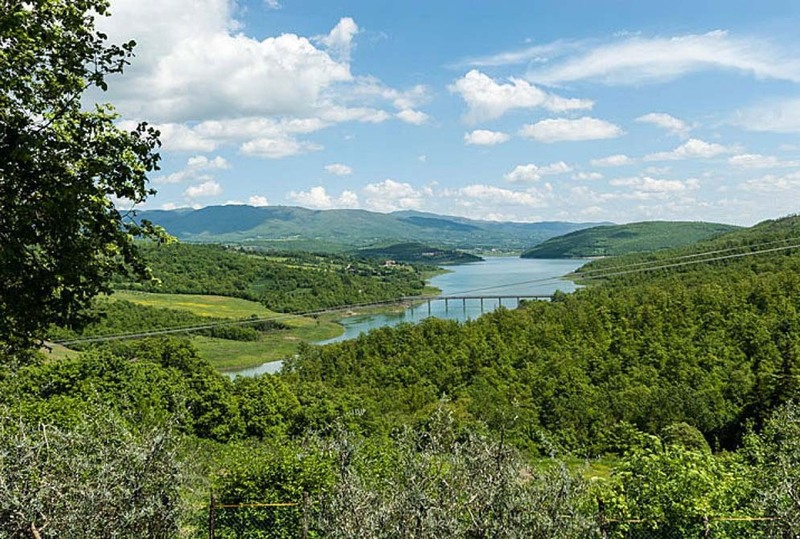 Both properties enjoy sweeping views of both lake Monte Doglio and surrounding hills and are situated about thirty metres from each other. They can be rented out separately, offering complete privacy, or can be rented out together for larger groups. 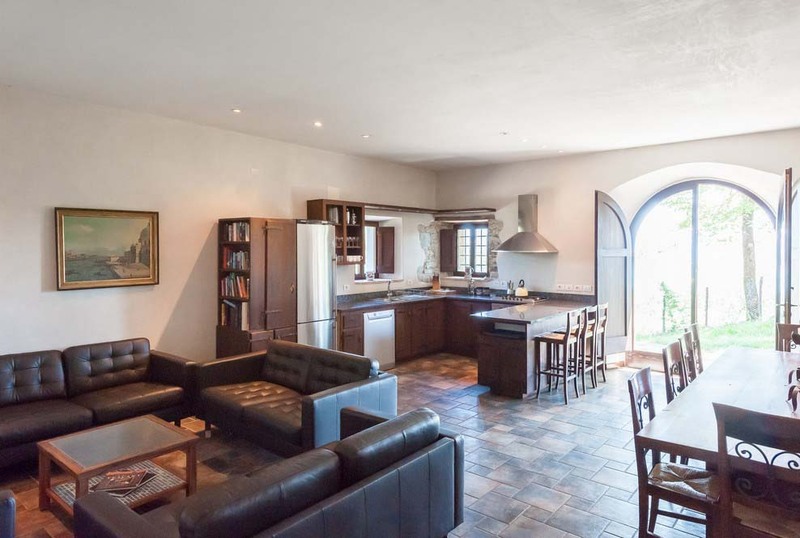 The villa has 5 bedrooms and the farmhouse 6 bedrooms and both have their own private pools. 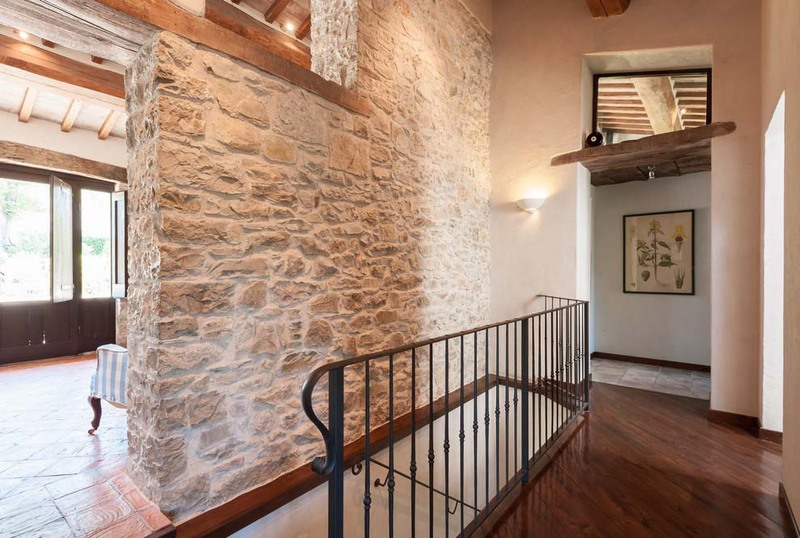 The villa was once a barn and date back 300 years. Although it has come a long way from its humble beginnings, original materials were reused wherever possible to preserve its original character with chestnut beamed ceilings, hand-made pianelle ceiling tiles, cut-stone doors and window surrounds, wrought iron railings and hardware. The interior boasts high ceilings and open spaces filled with natural light. Windows are generous and afford sweeping views that are never short of breath-taking. Mature oak trees surround the house and provide welcome shade on hot summer days. The design, restoration and selection of materials were overseen personally by the previous owners who took a hands-on approach to the project and did a lot of the actual work themselves, from the reclaiming of ceiling tiles to the building and installation of windows and doors. Villa Singerna has been carefully finished by hand and it is this resulting individuality that lends the building its specific character. The villa is on two levels and is positioned on a hillock so that both floors have ground level access. The main entrance is on the upper level, where there is parking for several cars and a wide terrace with a pergola that is adjacent to the pool. 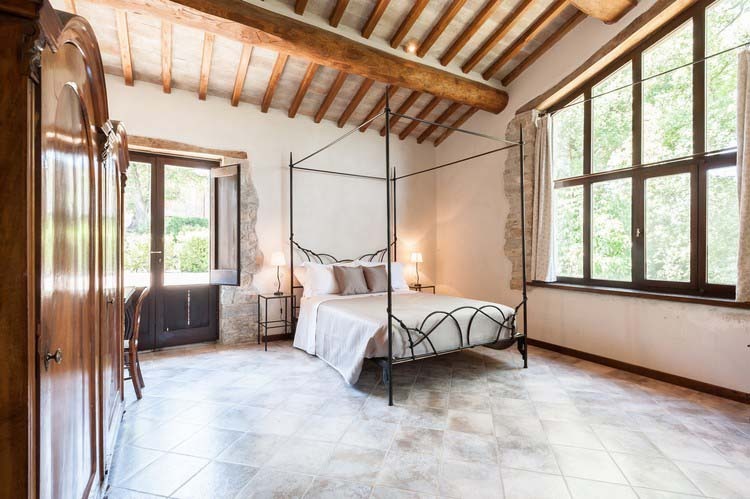 On this upper level, occupying the four corners of the villa, are four bedrooms that radiate off a central hallway with an impressive four-metre high chestnut beamed and terracotta tiled ceiling. The open plan space on the lower floor serves as the dining area, sitting room and kitchen. The focus of the room is on the grand archway with glass doors that frame a view of the lake. More arched glass doors lead to the spacious rear terrace that is paved in stone and tile and shaded by an oak tree. There is an additional bedroom on this floor and it has direct access to the rear terrace. The bathroom on the ground floor serves both the bedroom and guests. The 6 x 12 metre swimming pool has a shallow end with wide Roman steps and ample terracotta surround of approximately 200 square metres. The farmhouse, like the barn, 300 years old. Original features have been retained and materials reused wherever possible to preserve its original character. On the ground floor there is a large sitting room with a huge fireplace. A door leads down to a large terrace with beautiful views across the valley. The kitchen has been recently refurbished and has a wood burning stove. A door leads to a small terrace where you can sit and enjoy the spectacular views down to the lake. The master suite is on the ground floor and bathroom en-suite. There are five bedrooms in all and two bathroom, one of which is en suite. The second swimming pool, measuring 12 x 6 metres, has wide Roman steps and is surrounded by a paved terrace of about 100 square metres.